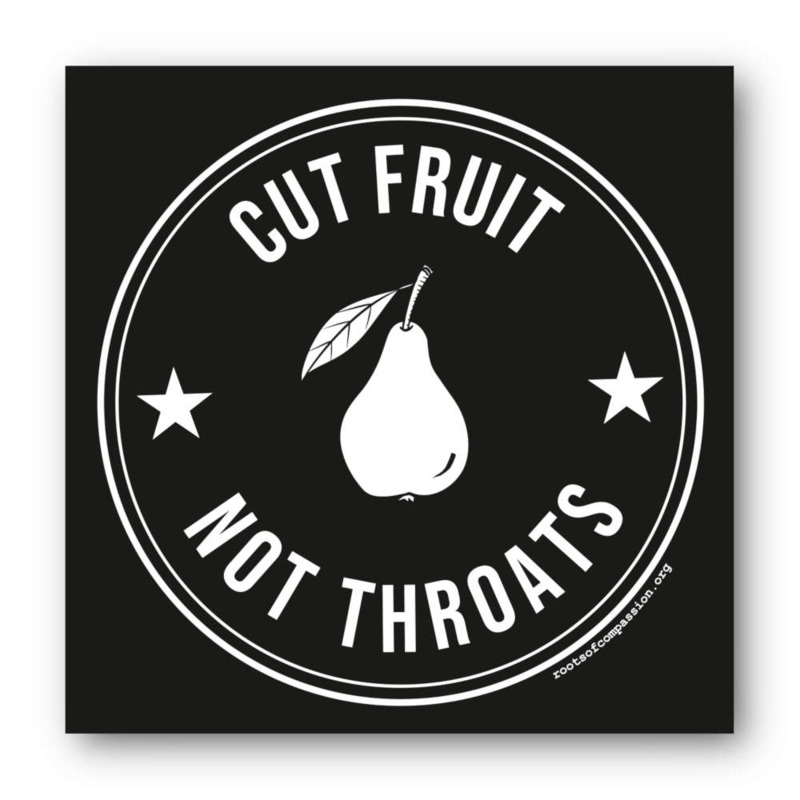 The Cut Fruit, Not Throats Sticker is more durable than our paper stickers. The UV protection is also stronger when you place it outdoors. Because we all want to live in a non-violent world, where no throats are cut, but only fruits.